Federal Judge Michael H. Simon has said federal plans to protect Snake River salmon are inadequate, and that federal agencies have "done their utmost" to avoid considering "breaching" or bypassing the dams. Critics, some who participated in the last federal study of such an action in 2000, say it was seriously flawed. Over the past several years, the judge noted federal efforts to help the recovery of endangered salmon "have already cost billions of dollars, yet they are failing. Many populations of the listed species continue to be in a perilous state." Ice Harbor, Lower Monumental, Little Goose, Lower Granite. The dams were built to allow barge shipping on the Snake River all the way to Lewiston. That traffic today has dwindled to nearly nothing, because major trans-Pacific shippers of grain and other products of the Inland Northwest no longer want to use the Port of Portland. Snake River barges no longer can offload directly into ocean-going ships. The dams generate about 1,000 megawatts on average, enough to power about 800,000 households a year. But the costly turbines that generate that electricity are nearing the end of their useful lives and will need to be replaced. Meanwhile, more wind and solar power units are coming online in numbers that would produce almost as much electricity. On the other hand, dams can act like batteries, storing up water for release through their turbines as clean carbon-free energy when the wind isn't blowing and the sun isn't shining. But recent research at Washington State University indicates reservoirs - possibly the ones behind the dams - generate a great deal of methane, an even worse greenhouse gas than carbon dioxide. Still, the Bonneville Power Administration says that without the dams as buffer, the region would need a natural-gas-fired plant that annually would emit CO2 equivalent to 421,000 passenger cars and cost $372 million a year to run. (bluefish notes: The Seventh Power Plan produced by the NW Power & Conservation Council refutes this suggestion made by the BPA. 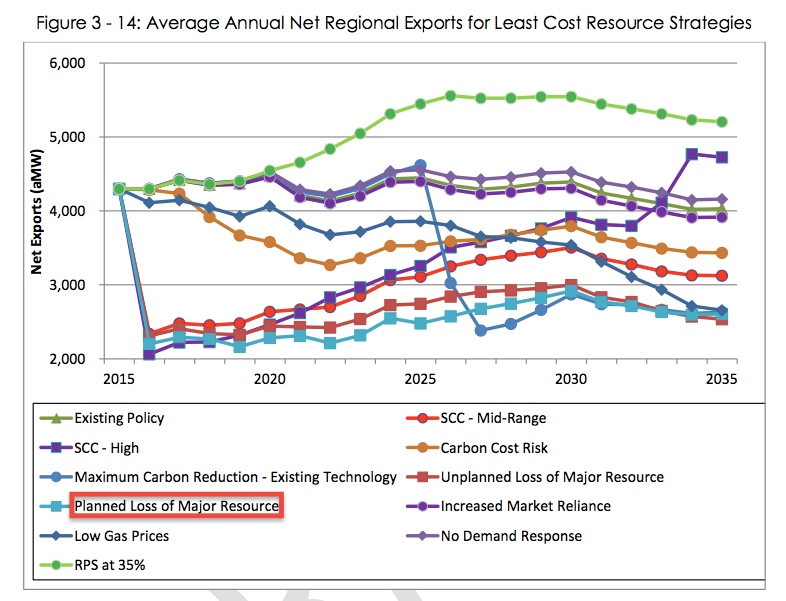 The BPA's actual statement was prefaced by "If this power were to be replaced..." but the actual fact is that the NW has a large power surplus and that reducing the amount of energy export, primarily to California, will be the "Least Cost Resource Strategy" solution (as modeled in the Seventh Power Plan). Judge Simon set a 2018 deadline for new options. It's time for an even-handed, reality-based evaluation of both the dams and the salmon, and their relationship to the values of the Pacific Northwest. It will come down to values.